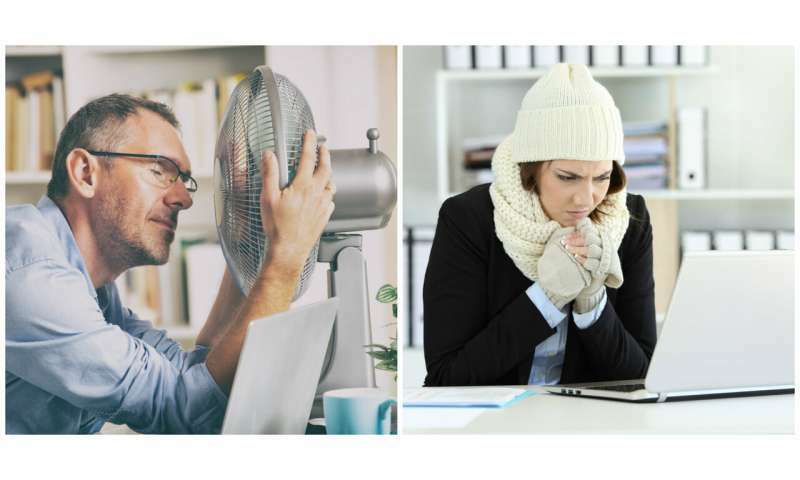 In any office, home or other shared space, there's almost always someone who's too cold, someone who's too hot – and someone who doesn't know what the fuss around the thermostat is all about. Most often, building owners and operators find out how their heating and cooling systems are doing by asking occupants if they're comfortable or whether they want to be cooler or warmer. However, everyone has a different ideal temperature at any given time, based on all sorts of factors, including their age and gender, their physical activity level, what they're wearing and even how much stress they're feeling at the moment. This is a complex problem: For instance, people entering a cool room in the summer may initially feel comfortable but end up feeling too cold after a while. More people would be more comfortable – improving their health and productivity – if furnaces and air conditioners could respond in real time to how building occupants were feeling, including how they change through the day. Our research group has been working on how to incorporate human feedback about room temperatures into heating and cooling systems. What we're developing could help people feel more comfortable, and even let buildings use less energy. Some researchers have proposed asking officemates to basically vote on what the temperature should be. Using a phone app or website, building occupants say whether they're too hot or too cold, and what would make them more comfortable. An algorithm then analyzes the groups' answer and calculates a temperature estimated to be most acceptable to most people. However, that method has two significant limitations: To work best, it requires near-constant input from people who are supposed to be working – and still doesn't factor in whether someone who is uncomfortable could help themselves by putting on or taking off a sweater. It also doesn't take into account how people's bodies experience temperature, which is closely tied to how cool or warm they prefer their environment to be. 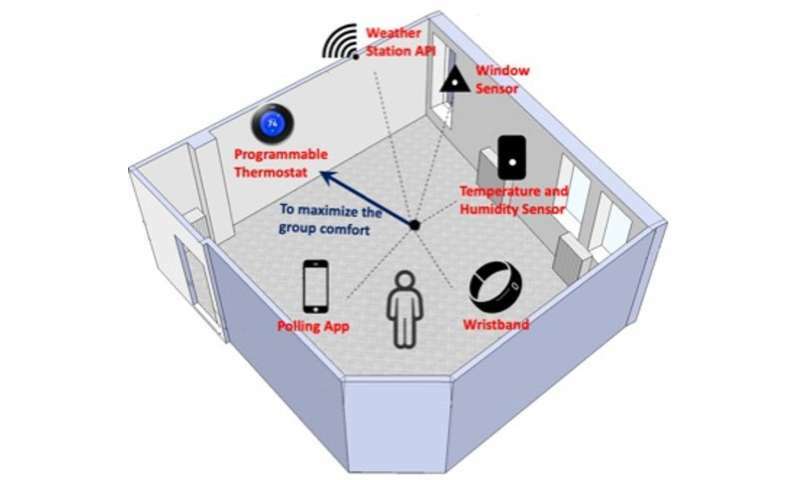 In previous research, our group placed multiple temperature sensors around an office, and combined their data with information from wristbands that sensed occupants' skin temperature and heart rates and apps that polled workers about how they felt. We found that adding the data about how people's bodies were reacting made the algorithm more accurate at calculating the room temperature at which people occupying a given space would feel most comfortable. Our current project, seeks to make things even easier and less intrusive for people, eliminating the wristbands and apps, and only using remote sensing of people's skin temperature to measure how comfortable they are. We developed a method using regular cameras, thermal imaging and distance sensors to detect occupants' presence in a space, focus on their faces and measure their skin temperature. From that data, our algorithm calculates whether – and how – to change the temperature in the room regardless of the number of occupants in the space. When we tested it in an office occupied by seven people, they complained less about feeling uncomfortably cold or warm.